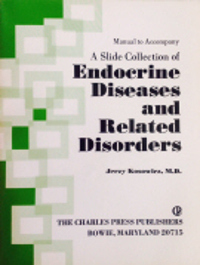 This rare collection of 262 slides and an accompanying 62-page manual that describes each slide in detail, is derived from material prepared by endocrinologist Jerzy Kosowicz, MD, of the Poznan University of Medical Sciences, Poland, under the auspices of the National Library of Medicine. The scope and depth of the clinical material here is unparalleled. Advanced generalized myxedema in a 14-year-old untreated patient. The face is greatly swollen and of cretinous appearance; and enlarged tongue protrudes from the open mouth. The large head embedded in supraclavicular edema rests directly on the trunk. Protruding abdomen; enormous myxedematous changes.  The patient has difficulties in standing and walking. Height: 40 inches. Bone age: 6 months. Stippled ossification centers of the femoral heads. A 13-year-old untreated patient with congenital goitrous hypothyroidism Height: 42 inches. Note cretinoid facial features, short neck and protruding abdomen with umbilical hernia. Bone age: 1 year. Epiphyseal dysgenesis of the femoral heads form from multiple irregular ossification centers.